Hey everyone – Welcome to my blog! This is the first blog I’ve ever written, so I’m going to do my best to not disappoint! I’m going to be having some fun with this, while keeping you updated on all of the action going on in the Arizona Fall League. This past season was my second full year in the minor leagues and spent this year playing for the Double-A Mobile Baybears. This was one of the most talented teams I have ever been a part of, and sure enough we ended up winning the 2011 Southern League Championship. You can check out the YouTube video of our final win and our celebration in the clubhouse – CLICK HERE. Every October, the top minor league prospects from all 30 Major League teams are invited to compete against each other here in the Arizona Fall League. I’m very excited about the opportunity to play for the Salt River Rafters. This Fall is going to be very important for me to make up innings that I missed from some bad luck I had during this season. On June 2nd, I took a comeback line drive off of my pitching hand and was forced to miss two and a half months of the season. I uploaded the video to YouTube so all of you can see it here… OUCH! Tomorrow, I will make my first Fall League start on the mound against the Peoria Javelinas. Wish me luck everyone. Catch up with you guys soon. You can follow me on Twitter for more updates. Charles, being a hometown guy, did you ever think you’d be playing fall ball in your home town? And when you were a kid, did you go to many AFL games? I’ve gone out to Arizona every fall for the past several years (though not going to be able to make it out this year) just to see the AFL games and I wonder why MLB doesn’t promote the league more. Nice job Charles! 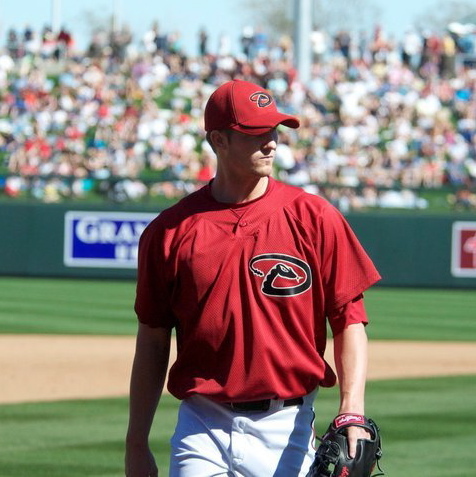 Arizona Fall League is best kept secret in Arizona. Good luck in your first start.